Below, a video by Hans Schekkerman showing feeding frenzies off Slettnes observed in June 2018, with many skuas (all four species) participating. Back in May 2014, my friends Niels van Houtum and Martijn Renders found an aberrant duck at the Westerplas, Schiermonnikoog. Its identification caused some discussion, and long story cut short, it turned out to be a Northern Shoveler x Blue-winged Teal hybrid – a first for the Netherlands. This record was the incentive for a paper on the identification and occurrence in the Western Palearctic of this duck hybrid, co-authored by Jörn Lehmhus, Steven Mlodinow, published in the latest issue of Dutch Birding magazine. Northern Shoveler x Blue-winged Teal hybrids show a set of fairly constant characters, allowing confident identification. The occurrence of Northern Shoveler x Blue-winged Teal hybrids in the Western Palearctic is not really a surprise, given that (vagrant) Blue-winged Teal often associate with Northern Shovelers, and hybridization is common among ducks. Records of this hybrid appear fairly regular in the Western Palearctic, with most records in spring. Interestingly, records show a pattern suggesting migration along a SW-NE line, with records during spring and summer occurring at increasing latitudes as the seasons progress. In the paper, we argue that (most) Northern Shoveler x Blue-winged Teal hybrids likely originate from mixed pairs formed in Europe rather than in the Nearctic. The hybrid Northern Shoveler x Blue-winged Teal from Schiermonnikoog, 4 May 2014. At least in the Netherlands, it seems that some hybrids are ‘on the radar’ of keen birders and can even entice small crowds of twitchers. These are also routinely accepted by the Dutch rarity committee. For example, there are nine records of Tufted Duck x Ring-necked Duck on the Dutch list. On the other hand, other hybrids have undoubtedly occurred in the Netherlands, but have never been admitted to the Dutch list. The best example of this is Eurasian Wigeon x American Wigeon. Although surely some hybrids likely have a captive origin, I would argue that at least these hybrids are (likely) offspring of genuine vagrants and thereby demonstrate the ‘desperation hypothesis’. The Northern Shoveler x Blue-winged Teal from Schiermonnikoog has been accepted by the CDNA as the first for the Netherlands, and we hope our paper is an incentive to find and document more records of this handsome hybrid. Coincidentally, the second for the Netherlands (if accepted) was found by Diederik Kok just before our paper came out! If you are interested in reading the paper, please drop me a line, or browse research gate. One of the aspects of migration that continues to fascinate people, is the ability of individuals to return to the same spot (either a wintering or breeding site), year after year. Such site-faithful individuals can be relatively easy to record. However, recording site INfidelity has always been a major difficulty: if a bird doesn’t turn up where it was last year, you didn’t detect it, it moved or it died. Tracking studies do not suffer from these problems, and now that tracking studies are producing data from individuals over multiple years, we can finally study the degree of consistency in routes and site selection over the entire annual cycle. If you have any photographs of skuas in active primary moult and are willing to share these with me, please let me know! They don’t have to be razor-sharp, but I would like to know the exact date and the region (e.g. ‘Benguela Current’, ‘Mediterranean’) where it was taken. 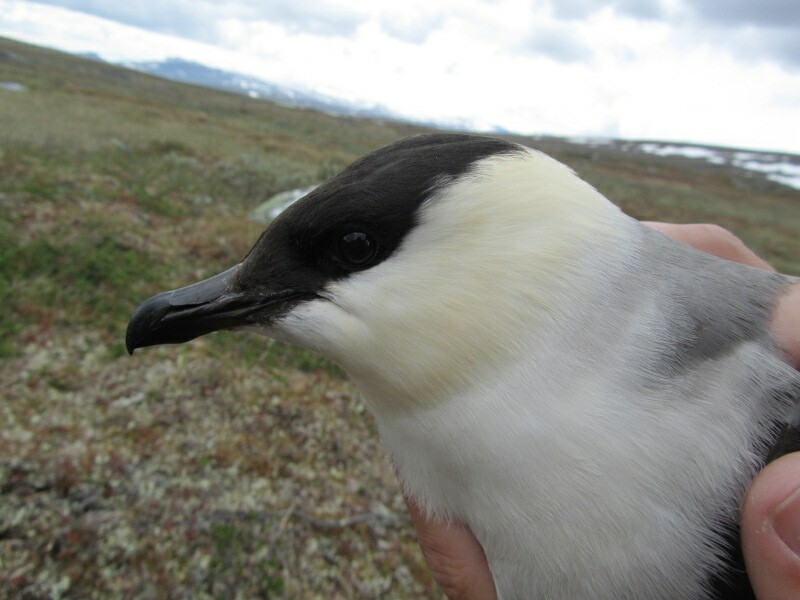 Note that pictures of juveniles are of no use as they are not yet moulting. Any help will be much appreciated and will be acknowledged in any paper coming out of this. Hi all, welcome! 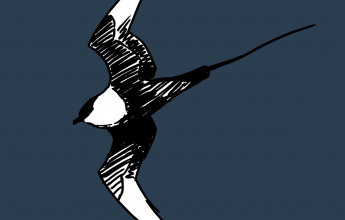 Here, I will post stuff about my PhD project, publications, birds and birding… mainly on skuas and phalaropes. Please have a look around!